The CD138 antigen (also known as syndecan-1) is a member of the syndecan family, which is comprised of 4 types of transmembrane heparan sulfate proteoglycans macromolecules (syndecan-1, -2 or fibroglycan, -3 or N-syndecan, and -4 or amphiglycan). These molecules are involved in interactions with extracellular matrix proteins, with cell-surface molecules and with soluble proteins such as cytokines. CD138 expression in human hematopoietic cells is restricted to plasma cells in normal bone marrow. Peripheral blood monocytes, T- and B-lymphocytes are not reactive. Tonsil cells and early B-cell precursors in human bone marrow also are negative. 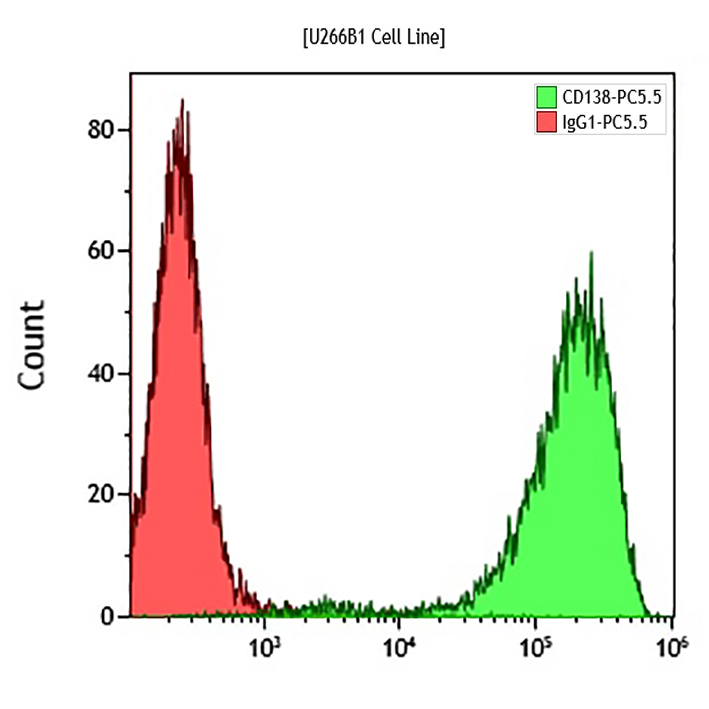 CD138 is expressed in a variety of mature tissues, including epithelial cells, endothelial cells, fibroblasts, keratinocytes and normal hepatocytes. CD138 may act as an essential regulator of ligand-specific activation of primary signalling receptors at the cell surface, by co-engagement of various accessory ligands.